Please Tami, tell our readers briefly WHEN, HOW, WHERE or in WHICH circumstances we met? Roseline and I first met on top of Tambourine Mountain at a psychic fair around 2007. I had a stall selling organic neem products and doing hair as I am a hairdresser and Roseline gave a Feng Shui talk that day. My brother Jordon is also a medium and had previously known Roseline – he kindly introduced us. 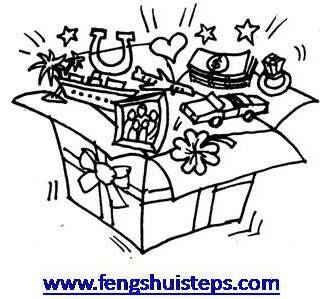 Since then, could you share what is the most interesting Feng Shui result that you have experienced? I had moved to a new house a few years later and Roseline came to visit and had her hair done. Whilst there Roseline quickly assessed my house of my own feng shui coordination and made some adjustments. I was single at the time and asked for a few hints in the ‘relationship department’. Roseline gave me the knowledge, but with caution not to move or place too many things at one time. “Make space for the new person to enter your life” she said, – “activate the relationship area”. I did this and do you know what happened? ?… Yes by that afternoon I had a man call me. No I wasn’t on an internet dating site. It was a random call from a friend of another family member – just out of the blue asking me out on a date. Yes I accepted and had a wonderful time. Let’s talk more about you now Tami… Tell us a little about yourself and your business. I’m very passionate about what I do. I have been a qualified hairdresser for 22 years and have worked in small suburban and high end city salons as a hairdressing manager, ran Qld’s only hair extension salon in the Myer Centre in Brisbane,worked as a hairdressing academy teacher and a make-up academy teacher and throughout this career have always been drawn to the more alternative styles of hairdressing. I created my own business in 2005 called Dr Dread. We are dreadlock professionals called ‘locticians’. We create, maintain, extend, repair, clean, educate and produce organic products for dreadlocks. This is a niche market as there are not many people who know how to create dreadlocks in a natural sustainable way. I have long blonde dreadlocks down to my waist. I love them – I felt a lot more like ‘me’ when I decided to take this journey. What are the five words that people would use to describe DR Dread? What was the purpose on starting your Dr Dread business? I started my business because I was drawn to this area and seized an opportunity that I though needed some professional input. Today, it is progressing well. I feel blessed because I really love what I do. What are the most common reasons of people who come and see you? The most common reasons people come to see us is to get their dreadlocks tidied up or to get new dreadlocks!! We also have clients who come to us when no one else can help them. We love a challenge and guarantee all of our work. Tell us more about your services that you provide to your clients? We create, maintain, extend, repair, clean, educate and produce organic products for dreadlocks. We offer a mobile service for the Gold Coast and Brisbane. We have a studio in Runaway Bay on the Gold Coast. Our products are also available in hairdressing wholesalers and salons. Tell us about your process for working with clients ? Depending on the length of the appointment, clients relax in a leather recliner with a view of nature, with unlimited wi-fi and snacks, meals and refreshments provided for them. Movies are an option, along with a good book to read. Fantastic conversation and shared stories are also on the agenda of a dreadlock day. What advice can you offer to people who are just discovering Dr Dread? Ask the right questions when shopping around for someone to tidy your loc’s. People fall into the trap of finding the cheapest service – cheapest is definitely not the best option when it comes to dreadlocks. It ends up costing more in the long run. 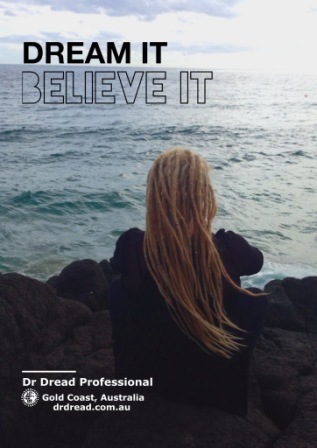 Take our professional advice when you do get your dreadlocks and you will not regret it. Do you have a book/product that you would like to recommend? 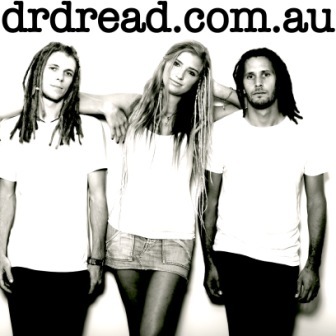 We have a good range of products for dreadlocks, all organic and Australia made! I would love to recommend one of our products that is for everyone – a soap free organic healing wash bar called Dr Dread’s Body Healer. It is very creamy in texture, unperfumed and pH balanced. It helps with sweat pimples, itchy skin, pimples, skin conditions and is beautiful on the skin even if your skin doesn’t have any flaws. It is perfect for babies and children along with your face and body. Very versatile, very healing. Where do we find your services? You can find us at Runaway Bay on the Gold Coast or we can come to you with our mobile service. We travel Australia and worldwide to give professional trainings. Facebook: Dr Dread Professional & Dr Dread Official Site. These words are still stuck and today, they are part of my daily my thinking process. I repeat this sentence very often, especially to those living with the mindset of lack. Those who think they can’t afford. Those who hesitate to offer themselves quality and special time. People wouldn’t call me rich, I call myself abundant. I am creative and find ways to bring my dreams to live. I give a lot of my love, compassion, of my time, my articles, my suggestions and the universe always give me more back. I live to be, not to have. I am free. Are you? 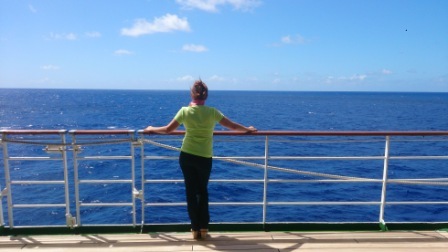 Last week, I received an email of a very dear friend of mine. She was grieving. I asked her permission to share her thoughts with you. After reading her words, you might re-assess your views on Abundance and have another look at the Feng Shui of your place of your body, of your life. Opt for harmonious environment surrounded with quality and tasteful minimal belongings. Spend some time pampering your body, meditate, join a gong healing session, choose quality time in nature. I have been a little distracted because a close friend died of cancer ten days ago, and I went down to Melbourne to the funeral. She was younger than me and so I have found myself contemplating life and what I want to do next. It seems many people are thinking about their lives and their journey. When my friend died, I went around to her unit and found it cluttered and packed with all kinds of “stuff” gathering dust and well worn. She refused to let the unit go, and although living in her sister’s home, continued to pay the rent on it for eighteen months, whilst it sat unused, dusty, dirty and cluttered. It made me, and other mutual friends, really think about our lives and how short they can be. Had my friend released her hold on the unit she would have had enough money to take a trip during her final few months. That is why I like your Feng Shui Steps blog posts and your articles. Your philosophy embrace life in the “now” and make everything an adventure. So often “material stuff” owns us… rather than the other way around; and I think that is how my friend saw her objects.